Download and print your students' reports to include in your grade book or share it with adminstration or parents. 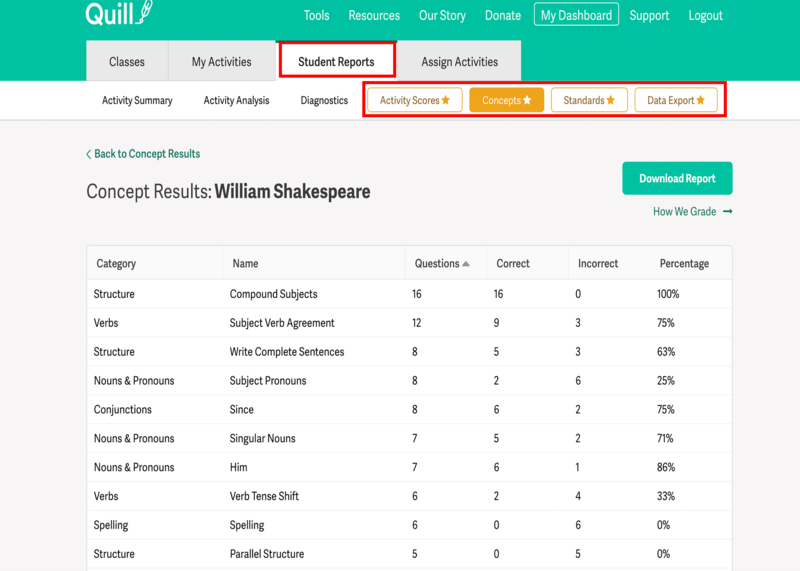 Downloading reports is a premium feature teachers can use to manipulate data outside of Quill. Click any Advanced Report tab, signified by the orange boxes with stars. You have the option of downloading a Print View or a CSV View report. You can open the CSV file in either Excel or Google Sheets.